Las Teresitas is a popular departure point among this sport athletes to make voyages to other beaches such as Las Gaviotas, Igueste de San Andrés or Antequera. For the uninitiated, it's the perfect place to learn in their waters with sandy bottom and protected from surges. 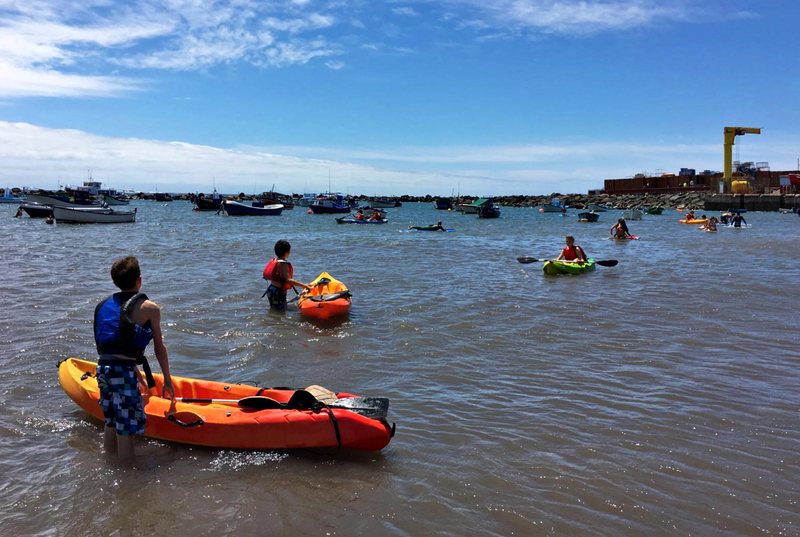 Kayak is becoming widespread among those who look enjoying beautiful coast corners which are hidden are inaccessible by land. If you don't have any experience, it advisable doing a course in a specialized school so you can enjoy this sport in a safer way..
Before sailing it's fundamental doing warm-up exercises oriented to shoulders, elbows and wrists. At the end, it's also important not forgetting to stretch. It's very important developing a proper rowing technique, running large, long-haul and intense movements, in order to activate your back and arms muscles and avoid injury. Avoid taking unnecessary risks and pay attention to the meteorology. Respect the emergency boats entrance beacons. Check your equipment before leaving. Don't forget such important elements as a lifejacket, the sprayskirt, a replacement paddle, signs of distress, first aid kit, food, water and anything else that you might need during the voyage. Make sure you go properly dressed and do not forget protecting yourself from the sun. Don't go along. A group is much more fun and safe. Always advise of your cruise, so if necessary, an alarm can be given. Learn how to turn safely. In addition it's important having previously practiced re-entry maneuvers.